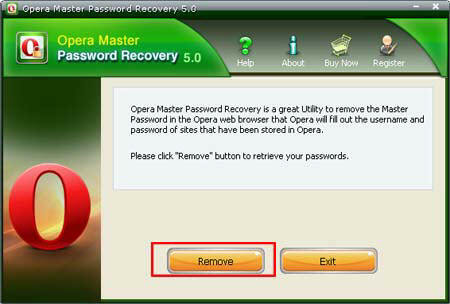 Below are the steps to remove the master password in the Opera web browser using Opera Master Password Recovery 5.0. To see the detailed information, please refer to the "Help" document integrated in the program. 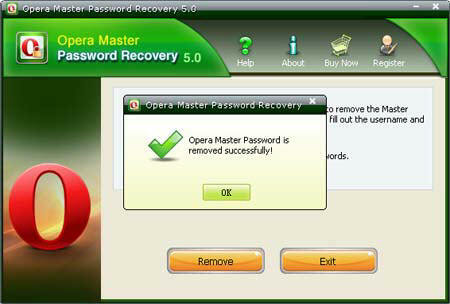 Step 1: Run "Opera Master Password Recovery"
Step 2: Click on the "Remove" button. Step 3: The Master Password in the Opera web browser will be removed immediately!